Providing competition for Coinbase, Circle rolls out its Circle Invest platform to most of the U.S. The service currently allows traders to buy and sell bitcoin, Bitcoin Cash, Ethereum, Ethereum Classic and Litecoin for free, TechCrunch reported. But traders in New York, Minnesota, Hawaii and Wyoming will not be able to use the service: Regulatory issues are preventing the service from launching in those four states — at least as of now. In addition to trades, Automated Clearing House (ACH) transfers are also free on Circle — and the platform lets users buy crypto instantly if they transfer under $10,000. Traders who transfer more than that amount have to wait a couple of days. While the platform allows trading, Circle Invest lacks the features of traditional cryptocurrency exchanges. The platform doesn’t allow traders to place limit orders or view the order book, for example. Circle is not the only company that advertises free crypto trading: Revolut and Robinhood have done so as well. Robinhood, in particular, announced it would offer zero-free crypto trading earlier this year. 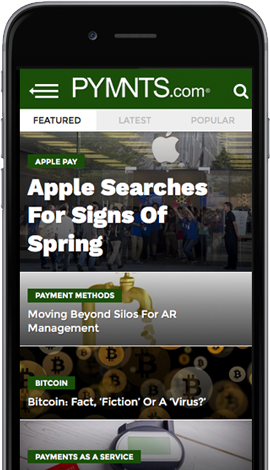 The news comes as Circle, the payments firm that operates an app-based, peer-to-peer payments network based on blockchain and which has financial backing from Goldman Sachs, acquired the U.S. cryptocurrency exchange Poloniex in February. “We’re proud to announce that Circle has extended its commitment to a new vision for global finance by acquiring Poloniex, a leading token exchange platform,” Founders Sean Neville and Jeremy Allaire wrote via a blogpost on the company site in February. As noted by Reuters, the acquisition — where financial terms were not disclosed — boosted Circle’s efforts within blockchain. In addition to running its network on the technology, it also remains one of the larger firms in the over-the-counter market tied to bitcoin trading.